Cover your hammock while not in use! 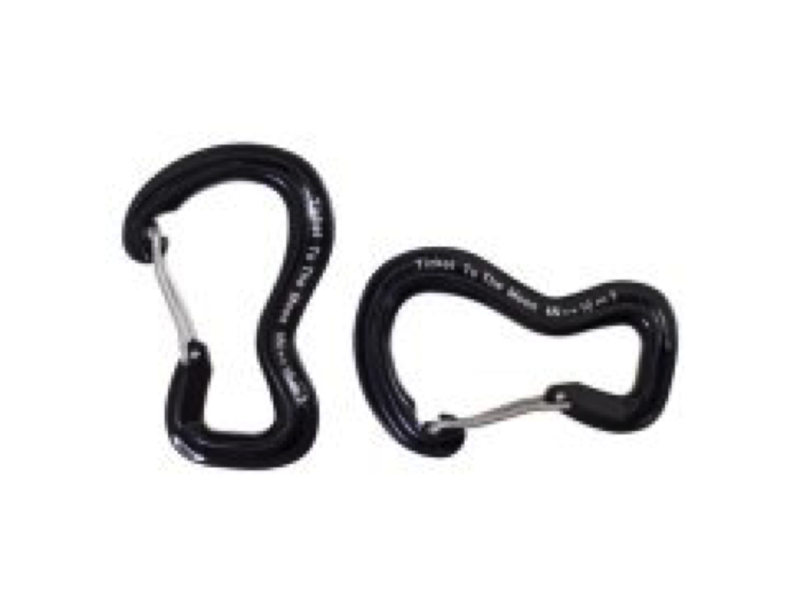 Ticket To The Moon has developed its very own carabiner: the easiest and safest way to hang your camping hammock. 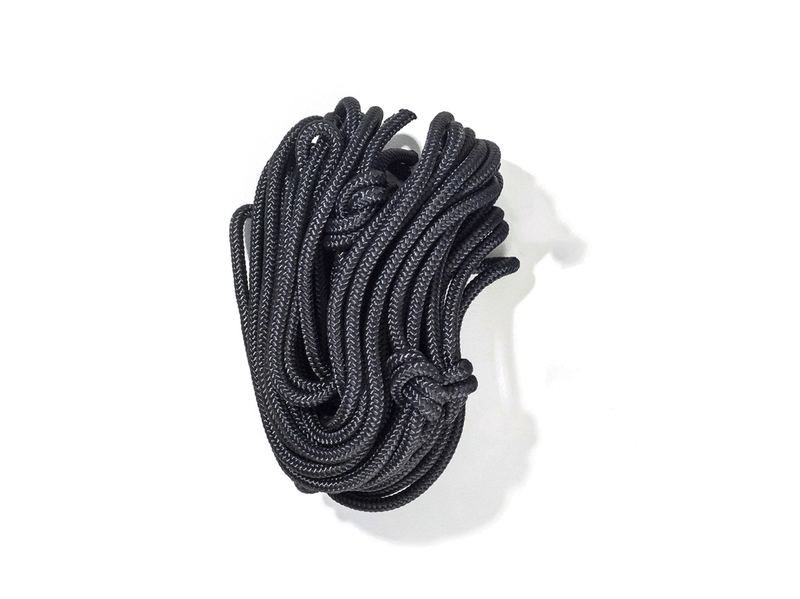 The TTTM Nautical Rope Set consists of two pre-knotted nautical ropes that allow you to set up your hammock in seconds. SIZE 320 x 200 cm / 10' 5" X 6' 6"
Custom Lightweight hammocks complete your love to the open nature. What’s better than hanging between two trees and enjoying every little detail of nature around you? This is the time to be rocked and relaxed. And with an infinite supply of fresh air all around, you gonna be carried on the state of camping bliss in no second. The great outdoor is open, and why do you still confine yourself in a walled room? The landscape offers breathtaking scenery as far as you can see, the leaves bristles in calm wind, and if you are keen, maybe you can spot passing squirrels running between the trees. Everything is happening when you are resting peacefully inside the custom single hammocks you’ve brought. It’s true. Hammock lets you to actually live the moment. Now, let the cool breeze sweep your face, blowing all of your worldly problems vanish into the thin air. Welcome to the world of the hammock. You might have visited the backcountry before, but hammock camping will open the world in a way you have never see it before. Have you ever find a perfect spot where the scenery is just perfect, fresh water is running nearby, but you have to reluctantly pass along as there was no flat ground to set up a camp? With hammock’s hanging suspension system, true explorers are now having the limitless freedom to camp exactly where they want. Say goodbye to a perfect camping ground that is not as readily available in a more challenging hinterland. Hammock gonna bring you to sleep above the ground and further. You are going to float in the air and forget about the unforgiving ground. Bring a single hammock to your next exploration, and soon you will get intoxicated with the liberating feeling about the need for searching a level, safe ground. The unsuitable terrain is now completely irrelevant—as long as trees, poles, or any sturdy rocks are around, you can set your single hammock up and have a good night. Even when the ground below is tilting on a 15º slope. Hammock opens the lock for wildest outdoor exploration to come true. It’s time to travel further where the hills are more rugged, the woods are denser, and the path is less passed. It’s the chance to safely rest in places you think impossible before. Camping with hammock enables you to sleep above the rocks, in the edge of a cliff, on an icy mountain, and even above running water without even wet an inch of your camping nest. Can you imagine how peaceful it is to fall asleep with the sound of the river running just below your body? In a hot summer when the weather is all nice and all you need are just a lightweight hammock and transparent mosquito net, you are not only benefitted by a super light backpack but also indulged for having all the surrounding woodlands as your entire lounging room. The canopy of the woods is now your camping roof—instead of that brightly colored nylon. Suspended between the trees with practically no blocking walls to separate you with nature, it’s easier to feel hidden and remote from the world and blend in with the wilderness. To crave your own space and still be intimately connected with the surrounding. A woodland solitude that every camper dream of. The custom single hammocks are just a perfect camping buddy for the solivagant—a solitary adventurer who enjoys to wander and travel without company. As the forest grows thicker and the track narrow, nature feels closer and more intimate with you. There’s nobody but you to share this intoxicating wonders. However, sometimes it also means that there’s nobody on your side to share the burden of accommodation and logistic. At times like this, going light is very essential. Every true outdoor enthusiast knows well that going to the wilderness is bound with trekking and hiking, even when you are not trying to climb a mountain. At this time, carrying packs with over 60 pounds baggage can be serious trouble. Your back will absolutely hurt, and you will slowly losing focus as you started counting on what makes your backpack so heavy and which item you can toss to reduce the heavy burden. This grueling climb can only be alleviated by start going lighter. The Ticket To the Moon’s single hammock is just the embodiment of every outdoor enthusiast: it’s super lightweight, it fits your body perfectly (unless you are bigger build—you might consider getting the double hammock instead), it hardly adds any weight to your backpack, and it can be packed down into a slim crescent that takes very little space. This is when a simple difference of design win. The crescent shape of TTTM hammock bag makes it even slimmer to be slipped into the backpack, even when you bring the larger type like the double hammock or the XXL size and up. There’s still plenty of precious room in your storage to pack other things. 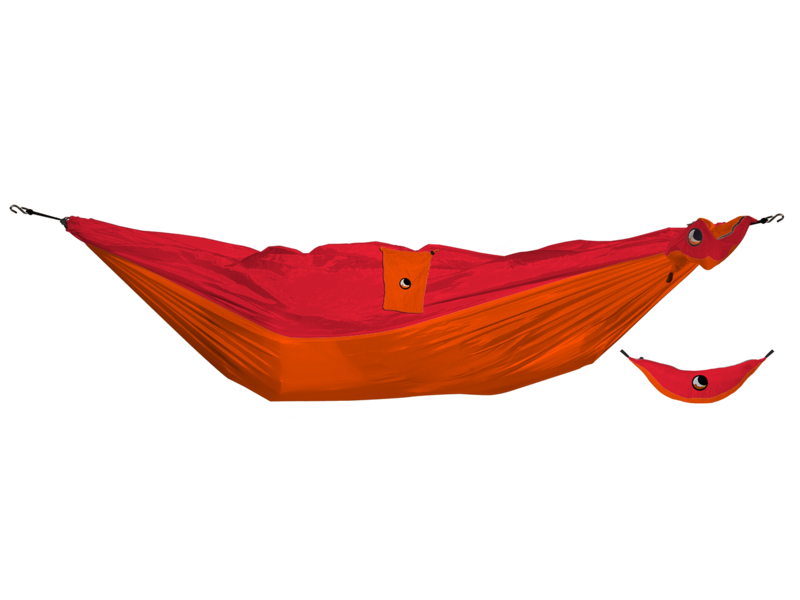 The custom single hammocks, made from a parachute, is undeniably the most lightweight hammock as the already lightweight material is effectively used to fit a one person sleeping suspension. 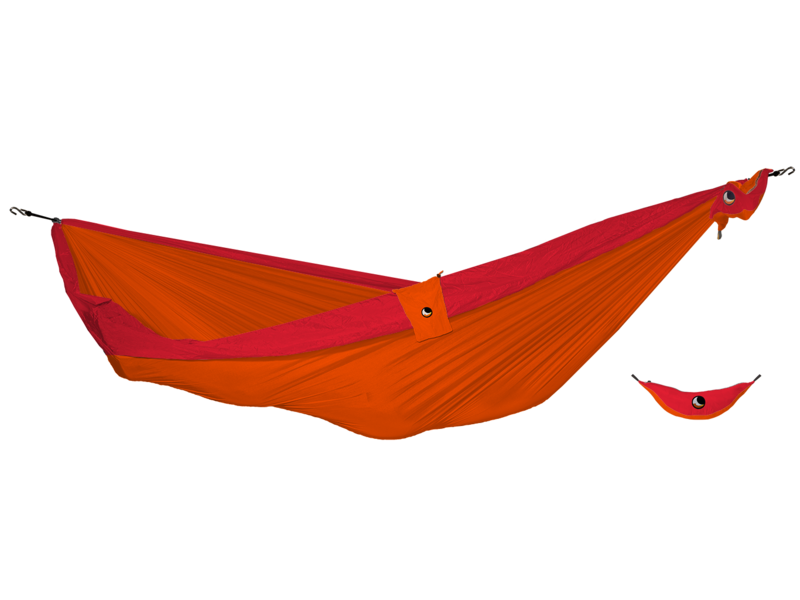 Compact, slim, and lightweight, this tiny hammock will suit your active lifestyle. You can bring it anywhere—from a beach vacation to mountain climbing to week-length backcountry camping, and your single hammock will win every time. In a day when people are living in a minimalist apartment and building tiny houses, why does your camping style still requires a bulk of heavy equipment? Today’s camping has been so much simplified, and so is your home in the wilderness. While a good, all season quality tent can weigh 6 pounds and more, your hammock and all hammock accessories combined—including the tree straps, traps, and carabiner, can only weigh 2 pounds or less. For a super practical pack, forget about the camping chair. If lightweight camping is your goal, a camping chair can be an unnecessary burden. A hammock can be both your sleeping station and a chair to lounge before the bedtime come, and the double function significantly cuts down the weight of your backpack. For an ultralight backpacking, what’s better than item efficiency? A lighter pack means less handwork and more mobility. With a lighter load on your back, soon you will find yourself venturing faster and farther. The world is yet to unfold! Now you know that hammock can save you from the unforgiving ground and open the possibilities to camp in impossible places, but do you still hesitate to rely on this suspended sleeping system for a heavy duty camping? Contrary with its lightweight body, the high adaptability of a hammock cannot be taken just lightly. 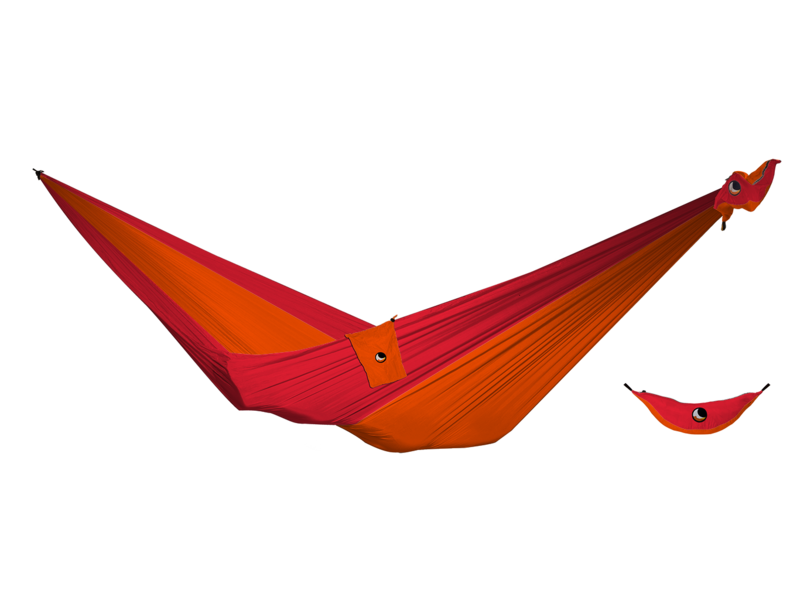 Going off the trail, a lightweight hammock can actually be a very reliable shelter even to extreme circumstances. Remember that camping in a hammock means you are sleeping above the earth? Now add wet and muddy soil to the ground. Can you still camp in a damp spot like that? Though still far from that “extreme circumstances”, even a slight ground disturbance like this can make your sleep far from comfort. 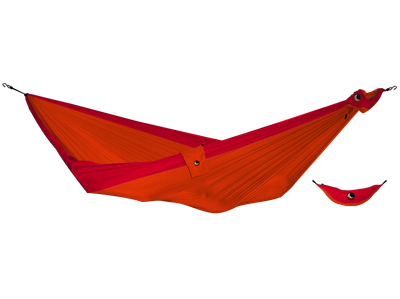 With a hammock, however, you can flick the survival mode easily. Heavy rain is one of the complex situations most traditional campers have to encounter. The walls get leaked. The ground gets soaked and sometimes the water gets into the tent floor. And the floor gets too cold to lie even after stacking the sleeping bag above the sleeping pad. Sometimes, the wind tries to blow your tent from the ground, and it’s difficult to feel safe under such a situation. It’s easy to survive in such a situation in a backpacking hammock, where hanging above the ground meant you can stay dry and warm. 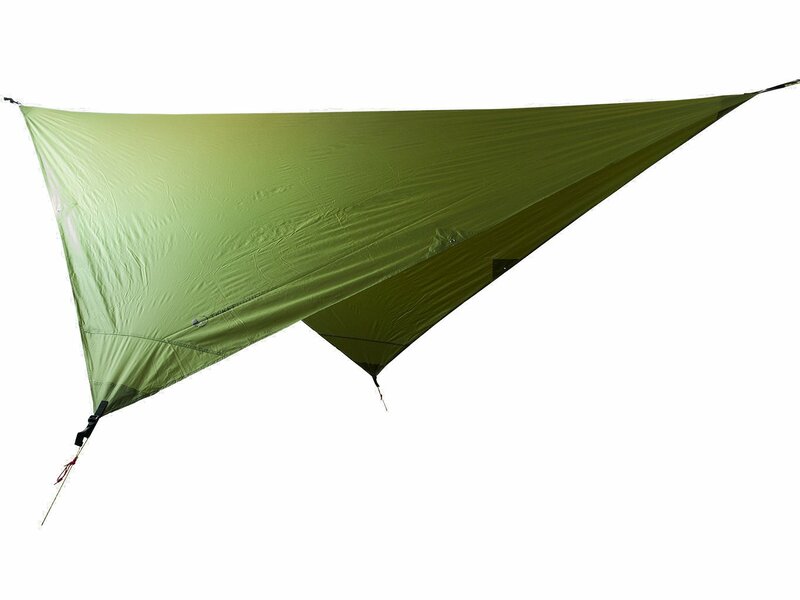 This kind of sleeping system also essentially gives you a double layer of protection—the tarp and the hammock itself. Make it triple if you add the under quilt as means of insulation and protection against the chilly wind. Ticket To the Moon’s tarp is big enough and when it’s properly put in diagonal position, the pouring water will not touch your hammock. And when the regular tap is not enough, you can bring the “winter trap” which covers the hammock from all-side, withstanding the heaviest rain and snow with full protection. A hammock can further prevent water intervention by simply setting up drip lines in the suspension line, several inches before your hammock starts. 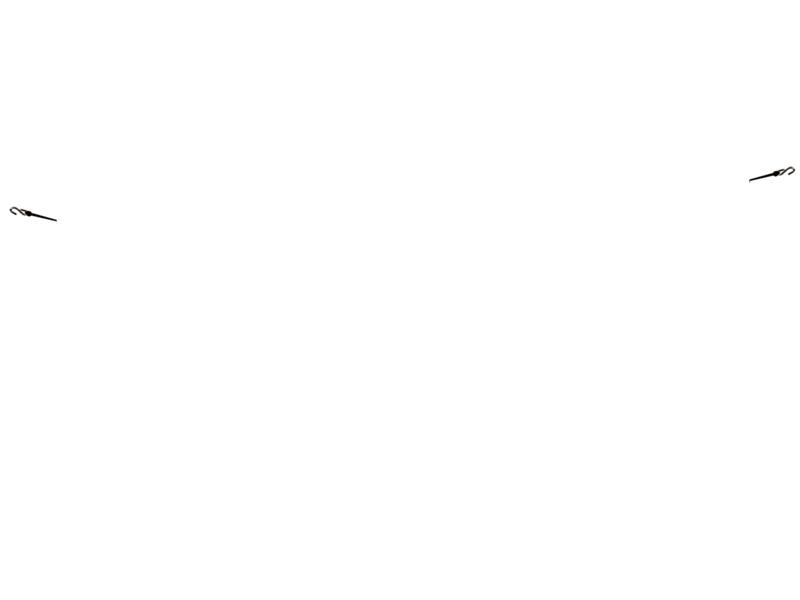 This technique breaks the water pattern and diverts the water down straight to the earth. 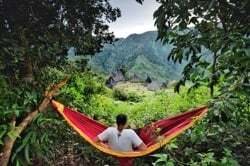 This is why hammock is very ideal to be taken the tropical jungle; where the rain is unpredictable, the earth is full of serious dwellers, and the perfect flat, dry ground is rare. The foldable hammock also promotes quick setup which is highly necessary when you are entering the survival mode. There are times when you need shelter as soon as possible—when rain is approaching, coming to the camping ground a little too late before the dark, or coming to a region of wildlife where you need quick protection. In times when arranging tent poles and pitching stakes become too much hassle, hammock stand out as a superior choice to stand the wilderness. While hammock camping lessens the boundaries between you and the surrounding nature, it also exposes you to the wildlife who are sharing the habitat with your camping ground. Especially when you are camping in a park with bear activity. To your relief, however, no one has been eaten alive buritto-style while camping in in their lightweight hammock, but it doesn’t mean that you can forget bear and wildlife safety during your backyard escapades. Remember that when you are camping with hammock, your bag is not sleeping with you. Most of the times, the backpack and all camping equipment are stationed in the ground or just under the trees. An open bag of yummy food will smell like an invitation for bears and other wild animals like squirrels or raccoons. Particularly for a bear whose exceptional smelling sense is seven times stronger than a dog. Whenever you are camping, minimize a close encounter with wild animal by storing out food, pet food, and fragrant items inside a closed trunk or bear-proof containers or hang them at least 4 meters above the grounds. You don't want the bears to think of your hanging food as a playful pinata, so make sure that the food supplies (and any strong-smelled necessities) are away from their reach. The bears are not the only animal that will be attracted to your food. Wild boars, squirrels, and monkeys are the most common in tropical countries, such as Indonesia. They are mostly attracted to the food wastage of campers that are not cleaned or deposited properly, the leftovers, and even the smell of your shirt that you use for cooking. Consider bringing smell proof ziplock bags for your food supplies and leftovers to avoid wildlife encounter. Reduce the availability of garbage by depositing your garbage into fool-proof containers and remember to take them home. Never bury plastic wastage—they took hundreds of year to be decomposed. A clean campsite will not only preserve the wild but also prevent you from the danger of unexpected wildlife visitors. It’s also a lot safer to not sleep with the same clothes you had used during cooking. The lingering trace of food in your shirt can invite curious animals to poke you in your hanging cocoon. And who wants to be awakened by a midnight visit from the wild? Rest assured, however, as wild animals rarely attack out of random aggression—they naturally avoid human contact unless feeling threatened, or, of course, smelling yummy food. Camping in a hammock is actually a lot safer than a tent, and this time it’s not about the food. 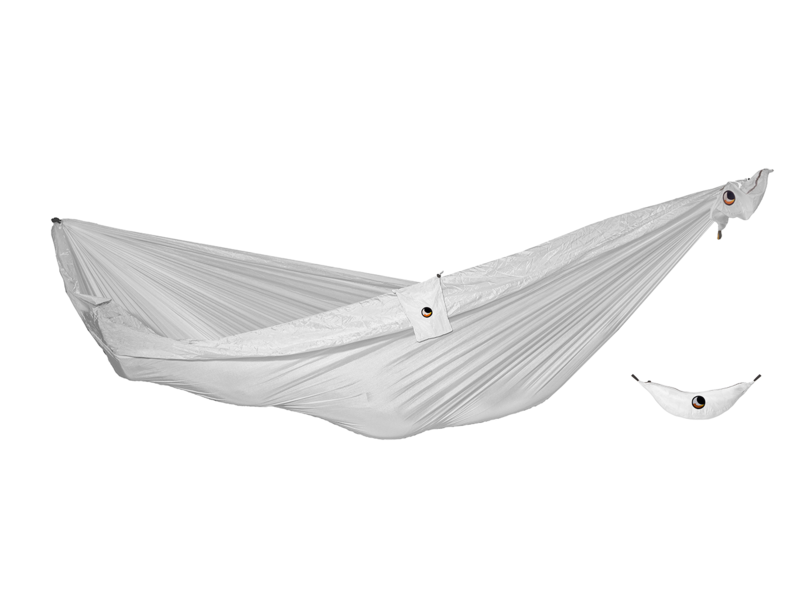 Being suspended above the ground, animals are actually having a hard time to reach you, especially the snakes and earth crawlers. Nobody likes to wake up in the morning just to find small crawlers like worm, slugs, centipedes, frogs, and even scorpion have joined them in their tent bed. It’s even quite common for campers to find snakes slithering under the tent floor seeking for warmth, and most of the time, they accidentally set up their tent right in the top of snake burrows. Luckily, almost no snakes are smart enough to climb up the trees, balance themselves on small diameter suspension, found its way to the narrow opening of the bug net, and somehow climb up inside the bouncy bug net to reach your hammock. A true outdoor explorer knows very well about “Leave No Trace” philosophy and will try to carry it out almost religiously. It’s about minimizing our impacts on the surrounding nature and preserving the outdoor enjoyment for future generations. A lightweight hammock is your perfect answer to “Leave No Trace Philosophy”. Hanging above the terrain, hammock doesn't flatten the grass or leaving stake holes in the ground—it barely touches anything. Camping with a hammock doesn't require you to level the area, moving rocks, dig trenches around the camping site, or damage the vegetation as a result. There is less chance to accidentally smash young plants that just yet to grow. 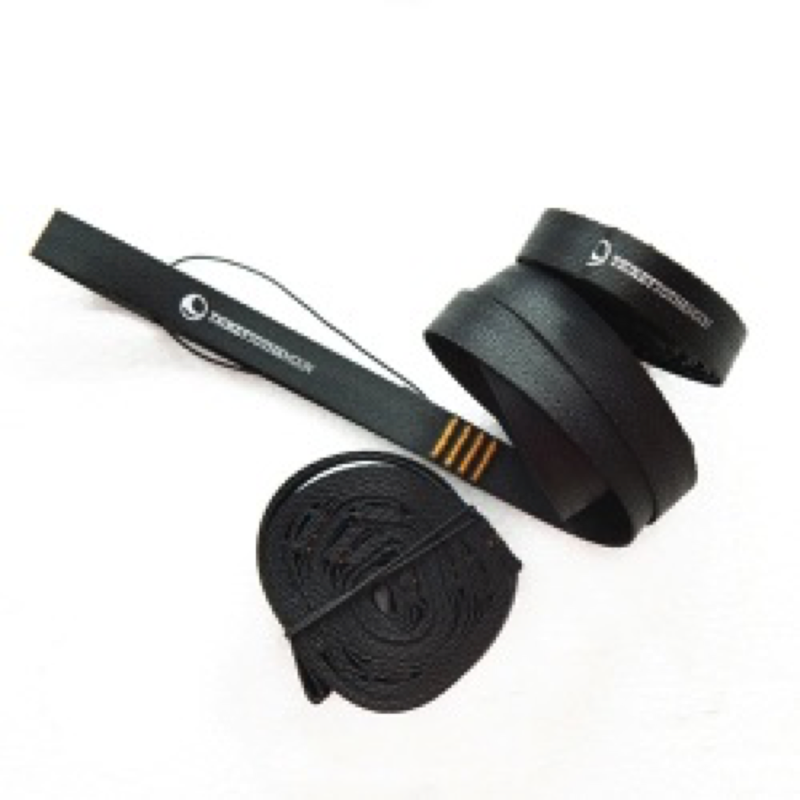 Protecting the trees is a must, and you can avoid hurting the tree barks using safe webbing straps, such as TTTM Moonropes, which will hug the trees safely without digging to its skin. After all the adventure is done, there will be almost zero evidence that you were ever there in the first place. A night in hammock allows all natural elements in the campsite—rocks formations, shell, soils, plantations, and any other subject of interest remain exactly as you found them, and by that, you will pass the joy of discovery for next explorer after you. When you want to leave the camping site as pristine as it was found, a custom lightweight hammocks is the one you can rely on. If you think a custom travel hammock is only made for outdoor camping, think again. Contrary to the common perception, the hammock was not exclusively made only for backpacking to the woodlands. Bring the outdoors in by hanging your parachute hammock at home, and you will find the relaxation without ever stepping out of the home. This is your quick escape during the weekdays; when the daily demands are just too high and the city life doesn't permit you for a weekend escapade to the woods. To have a simple treat between the blowing wind and loosen your mind. As you lie in, every other thing in beyond the door become a distant buzz. You might notice the sounds of chirping crickets and how the world is slowing down. Gently cradled in a slow swinging motion, it’s easy to be drowned in hammock’s special ability; relaxing the mind in just a matter of minutes. This indoor pleasure is maximized by health benefit that a hammock brings to you. Hanging in its natural sag, the hammock will follow your body shape and put your head elevated about 10-30% from your back—which is the perfect sleeping position for your body. Thus, allowing you to fall asleep quicker and deeper. Now, who wouldn't want to extend a quick lounge in the hammock for a quality nap? And to make things greater, the gentle motion of hammock actually cure insomnia. So go ahead, stuff your double hammock with soft pillows and bring in your favorite blanket. Spend the night in the hammock and wake up like someone who actually has enough sleep. Have a hammock hung inside the home can be a quick help to refresh up before facing back the upcoming Monday, a simple thing that will keep you sane through the relentless week. No doubt, a hammock at home is the best cushion you can ever have, but it can actually be a great decor when it matches your theme. Though hanging your favorite hammock in the backyard garden is just perfect for midsummer relaxation or family coaching, sometimes not all of us are blessed with outdoor space. For this case, a hammock in the living room or mini pouch can be an unexpected but welcome addition. Sure, you might be attempted to purchase another traditional, garden-dream rope net hammock that was a huge hit back in the ’60s, or that ivory hammock with dangling tassels, fringe, and macrame with spreader bars at both ends that looks very dreamy. But except looking beautiful, the rope hammock will only dig your skin and the spreader bar one will constantly try to flip you out. You gonna have though time balancing yourself in the hammock, let alone being carried out to the state of sleeping bliss. The best thing is to make use of what’s already good and available—the portable folding hammock that you love in the outdoor can instantly be a good friend indoor. It’s cool to sleep in, give a good sack to your backbone, carry you to good sleep, and spice up your home with a bold and totally unique characteristic. And when the season calls, you can just roll it down and pack it to your waiting backpack. No need for purchasing another hammock just for enjoying the bliss of suspended sleeping. 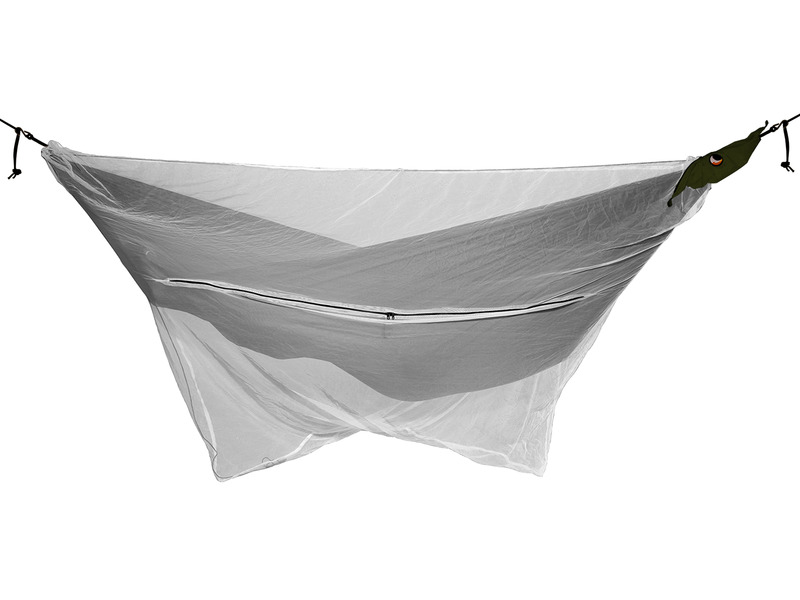 Your lightweight hammock also needs very little storage when you decide to roll it up and very easy to clean when it gets a little dusty compared with the cloth-made one. Fear that the hammock won’t match with overall home decor? Don't be. Ticket to the Moon grants you the ultimate freedom to custom your hammocks with any combination of color that suits your taste. Take a moment to contemplate before making your purchase. Maybe it’s simple blue and white? Or the urban chic grey and black to match the monochrome concept? Study your interior theme and pick up a stylish color scheme that will make your hammock looks good both in the wilderness and in the middle of the room. Transforming your lightweight hammock camping to indoor breathing space can be as simple as anchoring TTTM’s hanging kit to your desired spot. Keep in mind that the walls or any hanging point should be sturdy enough to support your weigh. Set up the hanging kits properly to avoid any damage and mishap, and you gonna be as fine as you are back in the woods. Don’t let your hammock crumpled in the dark. As the camping season goes, let the hammock in. Talking about indoor relaxation, you cannot just skip the joy of single person hammock chair. Just like any other Ticket to The Moon’s hammock, the Moonchair—as for how it affectionally called—is made from high-grade parachute silk nylon for ultimate comfort. Hammock chair is maybe the easiest hammock of all to hop in and gets the sensation of floating almost immediately. And just like a good hammock should be, it releases all pressure from your spine. A total pleasure indeed. Hang it from the beam or the ceiling, above the pool or just in patio, you can instantly chill without any care of everything else. What’s best than having a hammock hanging quirkily in the living room for a great conversational starter? When you are inviting friends over for a barbecue party, things will far from getting boring with a fancy hammock drawing most of the attention. Be prepared to get enthusiastic questions about your Ticket To the Moon hammock and bouncing frenzy in your unique sleeper. Speaking about having friends over, preparing accommodation gonna be easier when your hammock is around. One to two people can lounge inside comfortably during a lively chit chat, using your hammock as swing chair. When one of your friends decides to sleep over and you don’t have any room to spare, the hammock can save the guest from an uncomfortable night on the couch or the floor. Toss some pillows and comfy blanket, and your guest will probably have the best and most unique accommodation ever. By the way, some guy in Seattle put up his backyard hammock on Airbnb listing, and it surprisingly turned out as a serious side gig. What says that you cannot do the same? In times when the workload is just too high, hope into the hammock and bring your laptop along. It’s good to be away from your work desk for a moment, and clear the cloudy mind by simply switch to a more comfortable chair. Your hammock is the perfect lounge to look for inspiration and get more productive with work. 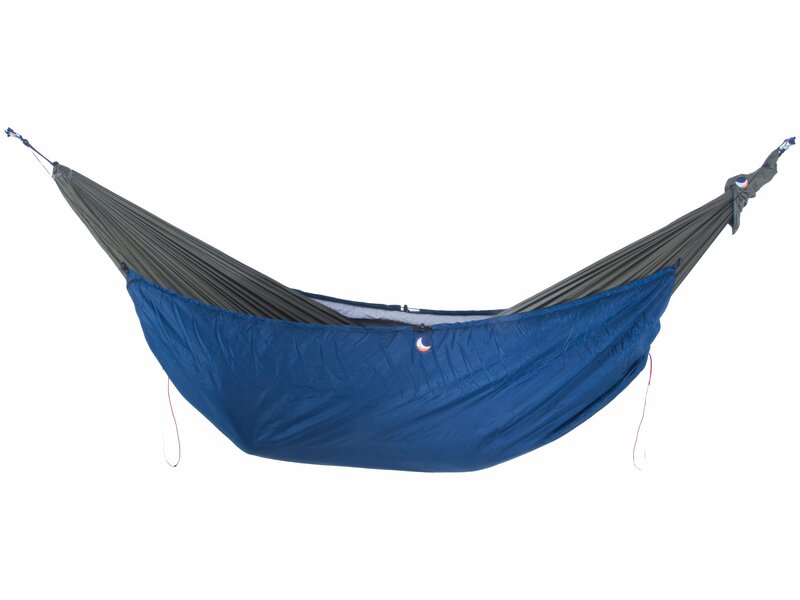 Between the backpacking adventure, this is the ultimate hanging lifestyle you need. 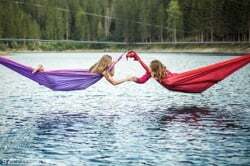 A hammock is a great buddy for outdoor exploration, but when you are full-fledged hammock lover, you gonna want to expand your hammock activities outside of those uses. 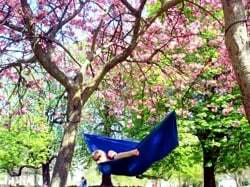 The versatility of a hammock can be varied from though shelter in a beaten path to relaxing swing bed at home to a hot item to elevate your usual, boring day. Between backpacking adventure and homey napping, here lies the hammock lifestyle. 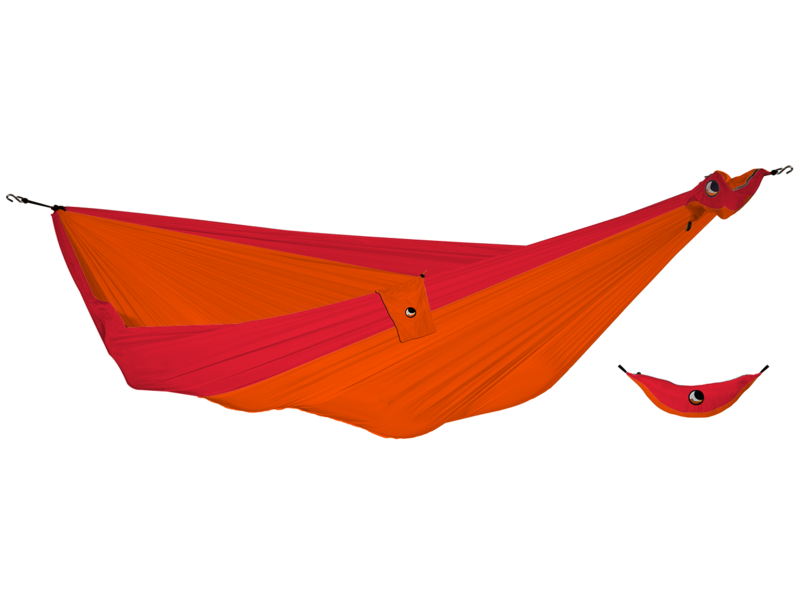 Here are awesome lists where simply hanging hammock can make your day dozen times better. Summer music camp is where everything is injected with fun and chill vibes. Everybody wants to get absorbed from all the dance and the music, but we need somewhere comfy and quick to crash in. Add hammock to the fun vibe! It’s not a mere place to rest. It’s a place when you can lie down and still enjoying an unobstructed view of the venue. Among the line of hundreds of tents that stuffed the camping park and around 3-4 persons sleeping in the same tent, it’s quite a novelty to have a hammock and maintain individual space. The best thing? You don't get blocked by another tent five feet from yours. You can hang as high as you can and get the full scenery of the venue! Hammock becomes more and more common in multi days music festivals like Electric Forest and Coachella, and it definitely fun to see the rainbow colors of hammock enliven the merry atmosphere. The dog loves its regular walk to the park, and so do you. But you can make it, even more, better with hammock. See the trees around the park? That’s where you can hang your beloved single hammock and spend the rest of the day in full contentment. No more competing for bench parks. You can even let your furry companion in and rocks together. Has your week got a little stale? Elevate this weekend by a picnic with hammock! Take your bestie or loved ones to a picnic in a park. 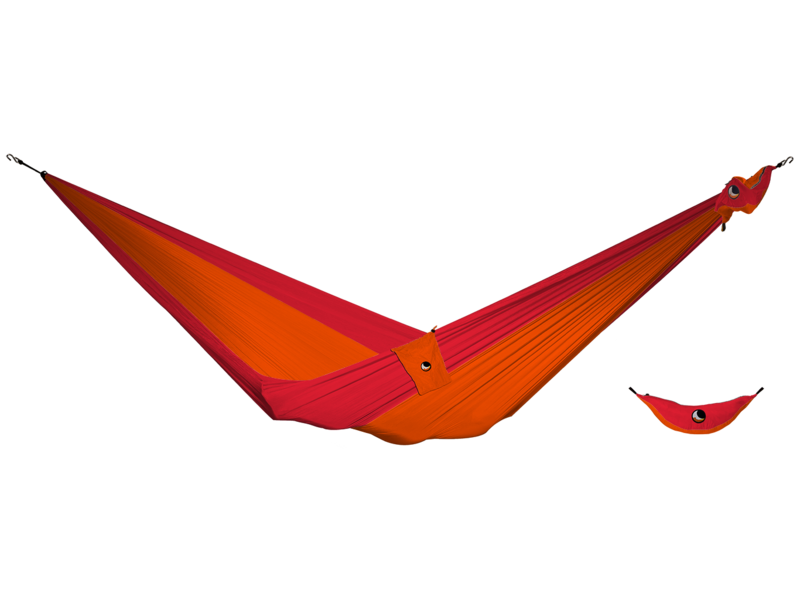 Instead of the regular picnic blanket, now you can enjoy the sunny day being suspended in the air with your super reliable lightweight hammock. The two of you can lounge comfortably in double hammock, but if you plan to take the children along, you might want to bring the larger ones. This is how a hammock living can elevate your life, in the most literal way. Lorsque vous ne profitez pas de votre hamac Ticket To The Moon, Insérez le dans sa housse de protection (Hammock Sleeve).